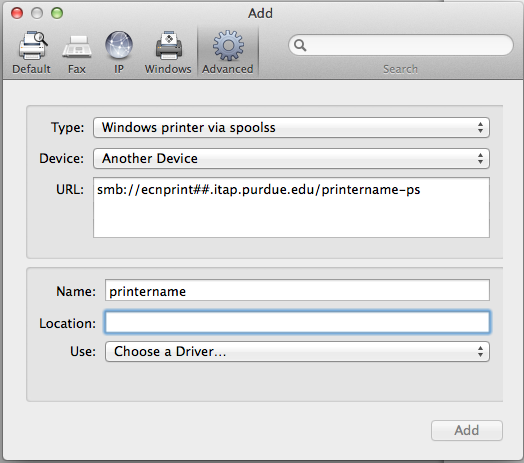 You will need the full server + printer name (smb://ecnprint##.itap.purdue.edu/printername-ps). You may need to install drivers for your printer. You will need to know the features of your printer and configure them during set up for full printer functionality. Your department may use page accounting, requiring additional information for setup. Click the plus sign button ('+'), in the lower left corner. 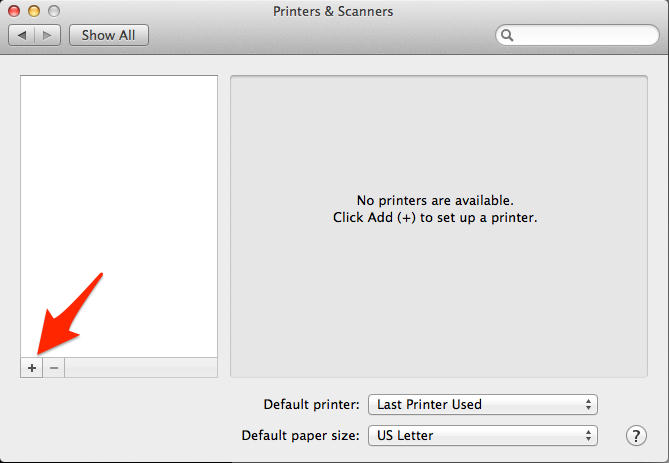 Select "Add printer or scanner". 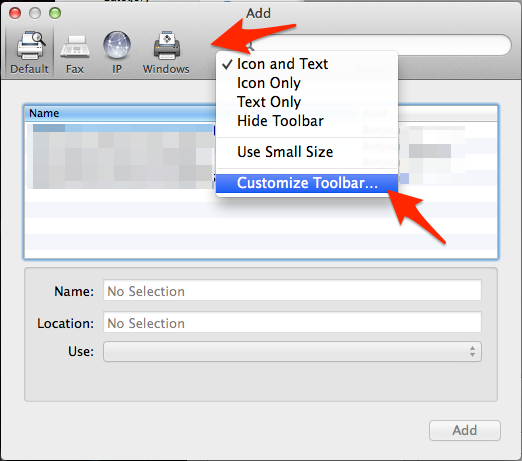 Once in the Add window, you'll need to customize your toolbar(If not already present) to add the "Advanced" icon. If the Advanced button is already present skip to step 7. 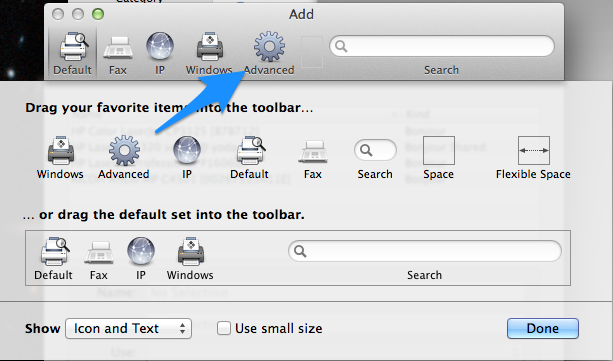 Right-click the empty space next to the "Windows" icon and select "Customize Toolbar..."
Click and drag the "Advanced" (gear) icon to the empty space on the toolbar. Click "Done" when finished. 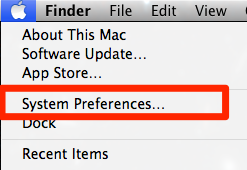 Click the "Advanced" icon. Wait a few moments until "Searching for printers" finishes. Choose "Windows printer via spoolss" for the "Type" drop-down menu. Enter the URL field as specified by your ECN support staff. Name and Location are to be filled in as you need, as the content does not impact printing. right corner to search for your printer model (provided by user & desktop support). 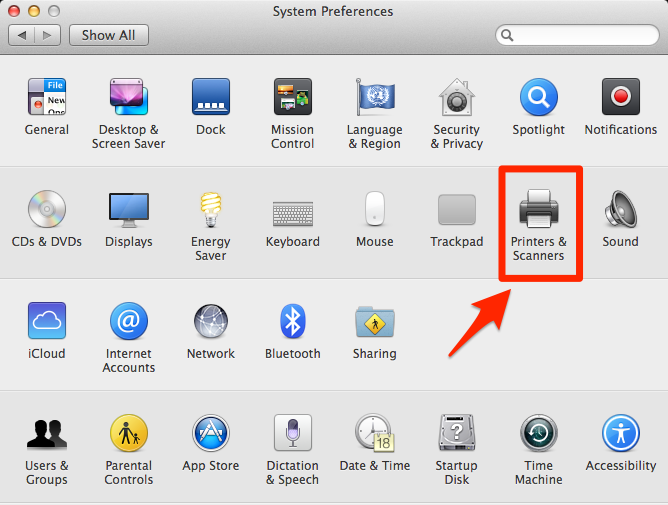 Select the proper driver for your printer in the list and click OK.
Click the Add button in the lower right. 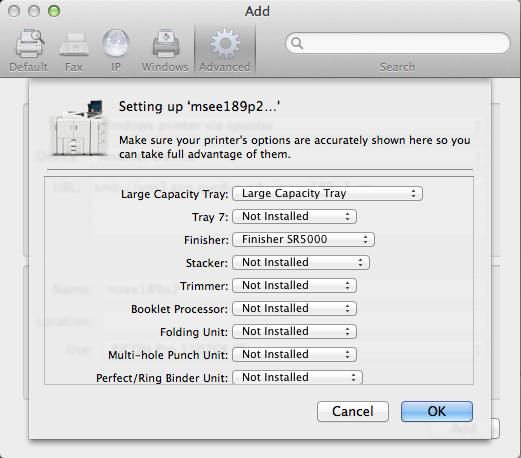 Choose all the appropriate installed printer options from the drop-down menus (provided by user & desktop support). 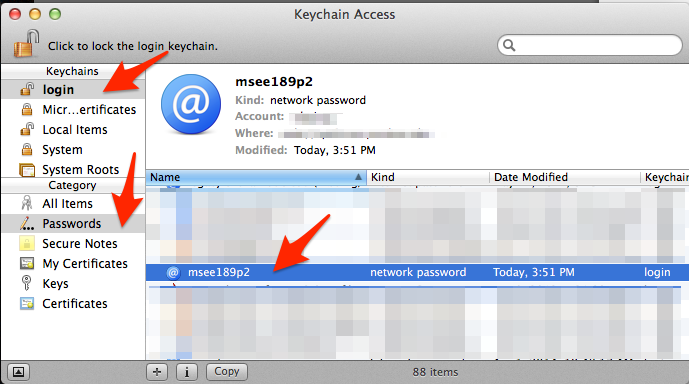 your password for important information. column. 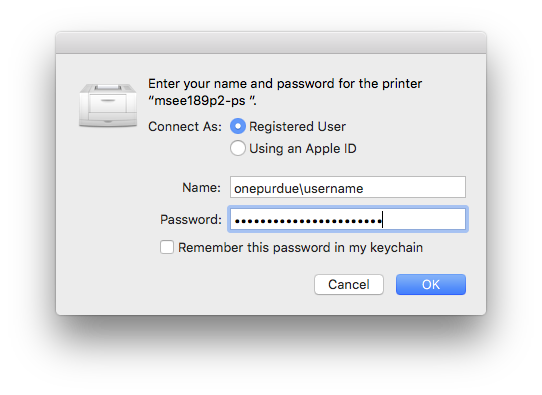 Look through the list to the right for the printer name. for new credentials the next time you print. Created: 2015/03/05 12:12:13.676069 US/Eastern by megan.l.boing.1.